Mo money, mo problems. Even for these billionaire Fengs. Who knew that it’d be this much trouble marrying into a rich family? Well, Shan Shan is getting some firsthand experience of all the hurdles that she’s going to have to jump over before she can finally become Mrs. Feng. It’s understandable if the people that are preventing her from marrying into the Feng family were love rivals, but her own dad? Now, that’s a little surprising. 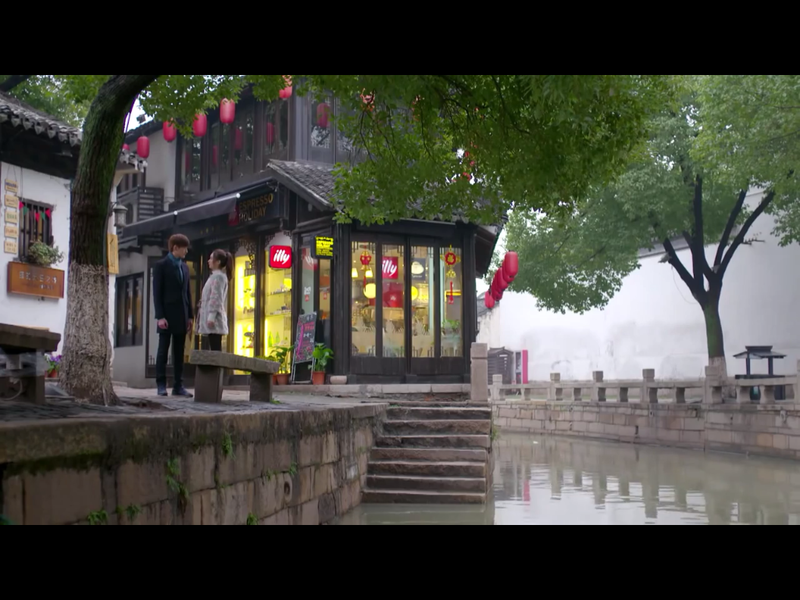 While Feng Teng and Shan Shan are taking a cute scenic walk around town, Liu Liu goes to find Yan Qing at the house that the Fengs are staying at. She delivers the bad news that her good-for-nothing boyfriend embezzled the whole 10 million that the Fengs invested into her business venture. Anyone actually surprised here? That guy practically had, “Don’t Trust Me!” written across his forehead. Liu Liu is frantically apologizing to Yan Qing for this and swears that she’ll find her awful boyfriend and retrieve the money. Yeah, good luck with that. Yan Qing tells Liu Liu to not tell Shan Shan and Feng Teng about it yet, and they can figure this all out when they’re back in Shanghai. He sure is chill about losing 10 mil. Shan Shan and Feng Teng come back in time to see Liu Liu and Yan Qing having their discussion outside. Shan Shan runs up to Liu Liu to say hi and invites her to dinner over at her place, but Liu Liu is still shifty-eyed and quickly scurries away. Feng Teng can totally tell that something fishy is going on around here, but Yan Qing doesn’t tell him anything. Shan Shan chases after Liu Liu to ask her why she’s acting some weird lately and if something’s wrong, but she remains tight-lipped and says that everything’s fine with her. For some unknown reason (looks like maybe Feng Teng left a note for the Xue fam? ), Liu Liu spills the beans on her douchey boyfriend and his embezzlement. Her mom, the one who thought Liu Liu’s bf was the best dude to ever walk the earth, starts freaking out and begs Shan Shan to talk to Feng Teng about it, so that they don’t need to repay the money. This lady…so annoying. After Grandpa Xue tells Liu Liu’s mom to shut the hell up, he tells Papa Xue to go talk to the Fengs. Papa Xue, Shan Shan, Liu Liu and her mom meet with the Fengs to figure out the situation. Papa Xue directly tells Feng Teng that under these circumstances, there’s no way he can allow Shan Shan to marry him. Why is Shan-Teng being punished here?! Papa Xue promises Feng Teng that he will return the money back to him no matter what. Feng Yue tries to intervene and tells him that the money really isn’t a big deal and it shouldn’t affect whether or not her brother and Shan Shan can get married. But Papa Xue holds his ground and says no. He doesn’t want Shan Shan to marry into their family while she is still carrying this huge debt. He repeats that he’s marrying off his daughter, not selling her. Yes…but it’s not really Shan Shan’s debt! Blame Liu Liu and her bad taste in men! Feng Teng pulls Shan Shan outside of the house with him and asks her if she still wants to marry him. Shan Shan tells him she doesn’t know. Ugh, is there a more frustrating answer than this? Feng Teng tells her that marriage is a vow between two people that they will remain together no matter what happens. Shan Shan says that she feels responsible because Feng Teng only trusted Liu Liu because she’s her family. Feng Teng argues that once they’re married, her family is also his family so their problems are his problems. He asks her if he goes broke one day, will she also leave him then? Shan Shan strongly says that she won’t, but she simply can’t choose between him and her dad right now. Feng Teng tells her that they can temporarily pause the marriage talks between the two families, but they have to eventually get married. Inside the house, Yan Qing tells Shan Shan’s family that he already knew about the embezzlement, but chose to not say anything yet because he didn’t want to upset the talks for Shan-Teng’s marriage. Papa Xue gets pissed hearing this because he thinks that Yan Qing and the Fengs are looking down at his family, and think that they’re the type of people who would run away from their debts. He promises that he’ll pay them back even if they can’t find Liu Liu’s bf, and that this is the only way that he can preserve his family and Shan Shan’s dignity. When Feng Yue tries to calm him down by saying that the 10 mil really isn’t that much money to them, Papa Xue only gets more enraged and thinks the Fengs are trying to use their tremendous wealth to get their way without consideration for others. These talks are not going well. Feng Teng, Feng Yue, and Yan Qing are packing up their things to head back to Shanghai while Shan Shan stays behind in her hometown for a few more days. Shan Shan and her mom go over to the Fengs’ place to say bye to them and to apologize for all the problems they’ve caused. While Shan Shan is helping Feng Teng pack, she accidentally knocks over some of his documents. 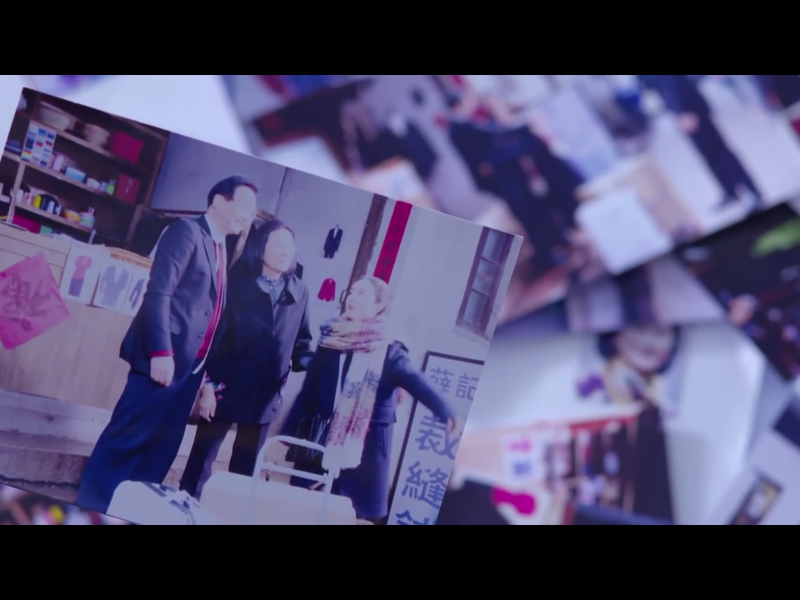 As she’s picking them up, she sees some really bad quality pics that Feng Yue’s private investigator had previously taken of Shan Shan and her family. Uh oh. Shan Shan immediately confronts Feng Teng and asks if he secretly investigated her and her family. Feng Teng admits to it without much hesitation. Shan Shan is fuming and her mom is super confused. Feng Yue and Yan Qing come into the room while Shan Shan is asking Feng Teng why he didn’t trust her and why he even bothered to date her if he was so suspicious. Feng Yue jumps into the convo and tells Shan Shan that it was her who hired the private investigator, and not Feng Teng. But Feng Teng says that even if Feng Yue hadn’t done it, he still would have investigated Shan Shan’s family before they got married. He then tells her to happily spend her Chinese New Year and they can further discuss things later. Shan Shan retorts that they don’t have anything else to talk about, and leaves with her mom. At home, Shan Shan and her mom tell Papa Xue about what they just found out, and he is surprisingly calm about the whole thing! He tells them that there’s nothing to be angry about because he would do the exact same thing if he was a billionaire. Papa Xue admits that he had previously looked up Feng Teng’s info online before meeting him. So, both sides technically investigated each other’s background. The only difference is that the Fengs used a method that required money. I dunno…I think hiring a private investigator is kinda worse than Facebook stalking. During their discussion, Feng Teng barges into the room. Why wasn’t the door locked? He quickly says sorry to Papa Xue and grabs Shan Shan to leave the house with him. Outside, Feng Teng explains to Shan Shan that the investigation definitely wasn’t because he was suspicious of her or her family. Shan Shan says that she understands why they did it, but this whole incident just showed her that she might be ready to be Mrs. Feng. Make up your mind already, Shan Shan! Feng Teng says that since he already proposed and he spent all this time to come to her hometown, they still need to get married…but it can wait until the debt is paid off. How romantic, I think? Is there interest on that debt? Shan Shan tells him that there’s still some money leftover with Liu Liu’s business venture that her douchey boyfriend didn’t steal. Feng Teng instructs her to use that money to turn it into the 10 mil that she needs to repay the Fengs with. Shan Shan asks him if he believes that she can do it, and he tells her that he has always believed in her. Awww, good ol’ Shan-Teng. Feng Teng reminds her that she must immediately marry him after the debt is repaid. Immediately! Back at Shanghai, Shan Shan tells the group that she’s going to pay back the money within a year, and only after that will she and Feng Teng get married. Feng Yue tries to tell her to forget about the 5 mil that she owes her and Yan Qing, but Shan Shan insists that she’ll get the money back to her. 5 mil ain’t nothing to Feng Yue. Li Shu pays a visit to Feng Teng in his office later and asks if he really is going to wait to get married until Shan Shan pays him back. Feng Teng tells her that this is what the Xue family wants to do, so he respects their decision. Li Shu advises him that there’s a good possibility that Shan Shan may become a calculative and sly person in order to earn lots of money. If that happens, she will no longer be the innocent and happy-go-lucky Shan Shan that Feng Teng fell in love with. Feng Teng reassures her that Shan Shan won’t become that type of person. Li Shu says that she understands what Shan Shan is going through right now because she once wanted to change herself to become a different person that was more worthy of Feng Teng. She might claim that she’s just looking out for Feng Teng in a brotherly way, but nope, never gunna trust this girl. No one asked you, Li Shu. Liu Liu and Shan Shan meet with Feng Teng in his office to discuss their new business idea for the remaining money. Liu Liu proposes that they start a jewelry company because she already has a few connections in that industry. Feng Teng agrees a little too quickly to the business proposal, which probably just shows that he couldn’t care less about it. He does, however, request that Windgroup overlooks this new business venture. Probably for the best, since Liu Liu has one craptastic record with running a business. He asks Shan Shan if she’s really made up her mind to leave her job here to go help Liu Liu. Shan Shan tells him that she has to because this is going to be her family’s business. Feng Teng reminds her that once she leaves Windgroup, she will have to rely on herself. Liu Liu apologizes to Shan Shan for dragging her into this whole mess, but Shan Shan actually thanks her for giving her this opportunity to start her own business and become a boss. When they go to the realtor to look at properties for their business, the real estate agent is being way too lenient with the prices with them. Flipping through the pictures, Shan Shan suddenly remembers that these are all of Feng Teng’s properties that he showed her when they were discussing the prenup! She tells the real estate agent that they refuse to rent any properties that belong to Mr. Feng. When the real estate agent calls Feng Teng to relay Shan Shan’s message, Feng Teng thinks to himself that Shan Shan has gotten a lot smarter. After the get together at the Feng mansion, Li Shu comes home to find Zheng Qi sulking in the dark with a drink. He asks her if she went to talk with Feng Teng because after hearing that he and Shan Shan are pushing back their wedding, she still thinks he has a chance with him. 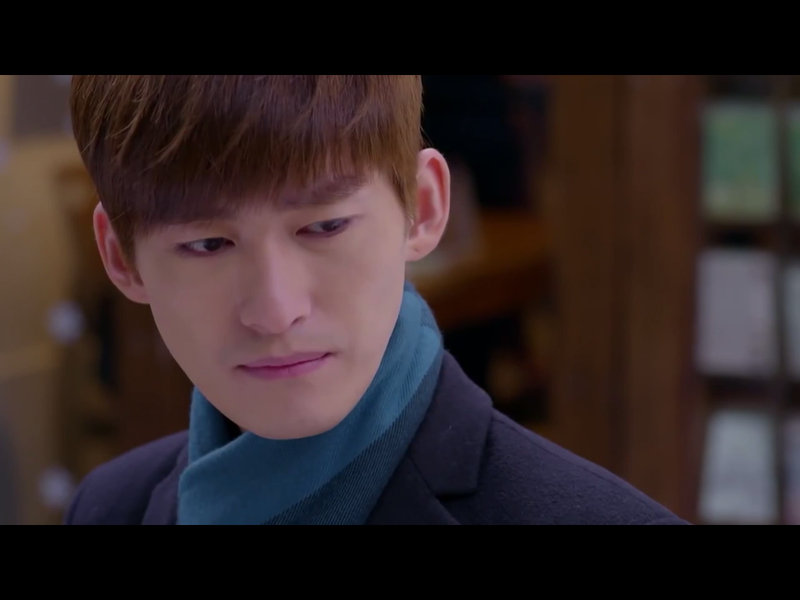 Li Shu’s amused by Zheng Qi’s jealousy and tells him that she has absolutely zero feelings leftover for Feng Teng. And that’s enough reassurance for Zheng Qi to stop his emo teenage act. While Shan Shan’s packing up her things to leave her job at Windgroup, she has a surprisingly heartfealt goodbye with her coworkers and her manager. She especially thanks the manager for taking care of her, and he in turn congratulates her on this new chapter in her life. I might have teared up a little. Hurry and get married already!